“Today’s performance by pupils is a yet again a testament to the high standards being achieved in schools. 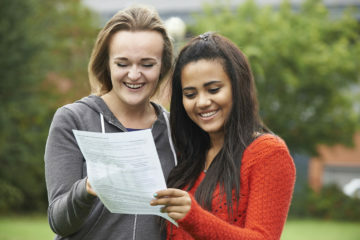 “Pupils with support from their teachers have achieved these excellent results despite the intense pressures, challenges and uncertainties which have been facing the education service. “Teachers’ have maintained their commitment to do the best for their pupils despite the fact that they have been wrestling with job loss, excessive workload and continuing cuts to their pay. “These results are a testament to the skills and talent of our young people and the teachers and principals who work so hard to support them. “Further analysis will be needed to look at the widening of the performance gap between boys and girls in the top grades. “The continuing growth in the number of pupils studying STEM subjects is to be welcomed but the reasons for declines in other areas needs to be looked at.